Can you believe Thanksgiving is coming this week? I can't believe how fast November has gone by. This week is going to be super busy for me so I decided to post my Monday video a little early. That came out beautiful I might need that cartridge. 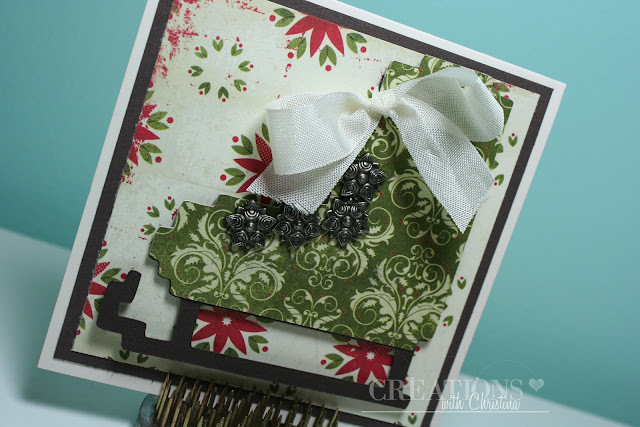 Love all of the layering..And thanks to you i went a bought the small and bigger fiskars stamp press, over US$35 in postage i might add-couldn't find them anywhere down under, i must be nuts. I love your card, it's really gorgeous. Love the bow you added. It is so much more personel that the cut bow. 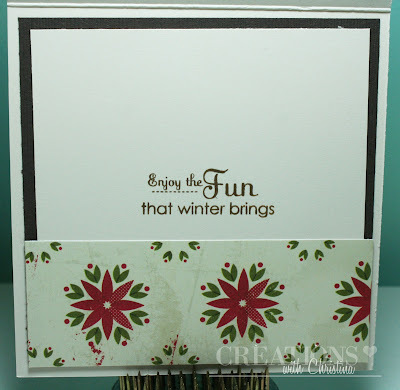 I love my Fiskars stamp press too as I was always getting off center and crooked. You have the greatest knack for picking out different papers. I look at them in the stack and think they would never work and then you do it and it's beautiful. Once again another card I love. Very cute! That cut would make a great tag. Such a fun card - I always enjoy your creations. Thanks for sharing! Another beautiful card. I love those brads. Tfs. Oh I have been thinking about getting this cartridge.. you have made me want it even more... beautiful card. What a sweet card! I love the brads you used for the laces. You always use such pretty papers too. Thanks for sharing! Love the card, but just came on to wish you a Happy Thanksgiving and many blessings to you and your family. such a pretty card... love it.